Is there a greener gender? Q&A with Kira Gould and Lance Hosey about their motivation and experience for writing the book, and what have they learned from the process. Is there a greener gender? 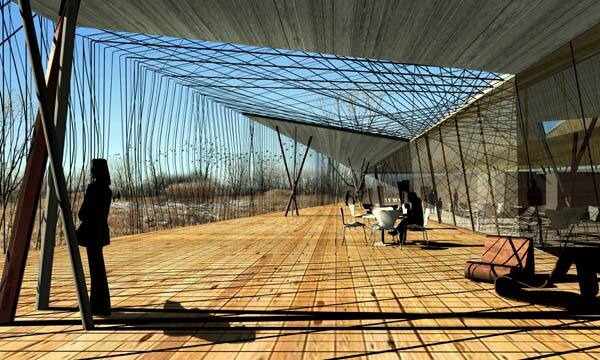 Does sustainable design have special appeal for women, and do they in turn offer something unique to the field? 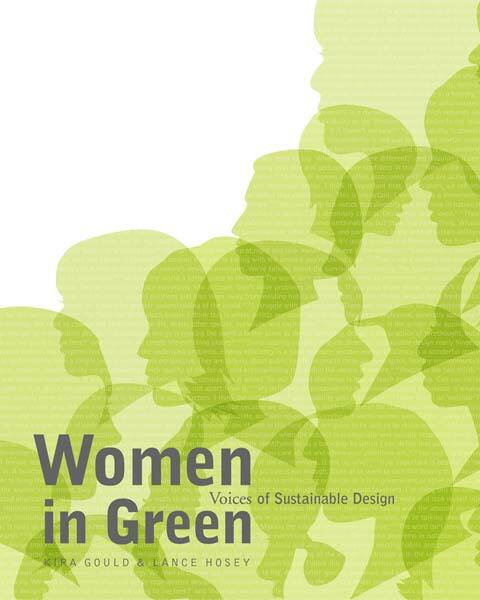 In Women in Green: Voices of Sustainable Design (Ecotone Publishing, 2007), Kira Gould and Lance Hosey explore these questions through informal conversations with hundreds of architects, designers, consultants, writers, policymakers, educators, and students. What they find is that women may be changing how we all see our work and our world. Remember those nights where you stayed up late at the proverbial campfire (maybe it was the corner bar, the dinner table, the after party) talking about the meaning of life? You could not always remember the answer, or if there was only one, but you always remember the conversation, the people and the magic of sharing passionate ideas. That is the effect of Women in Green. Only in this case, there is a living record, because Gould and Hosey hosted the party. They asked some of their friends, best thinkers, most lauded activists, and the foot soldiers of all facets of the green movement to discuss what’s most important to them. What is sustainability? What is community? How do we love more? Big questions, intimate conversations. Turns out these conversations were only the first of many. Because Gould and Hosey have elegantly collected the words of others, I wanted to hear from them in their own voices about their motivation and experience for writing the book, and what have they learned from the process. To be honest, we dove into this project without understanding what it was or what parts of it might have value. That made us nervous, but not completely understanding the topic or its boundaries became an important asset to the project – it forced us to work without preconceptions. Early conversations with many generous people led us to believe that it was indeed an important conversation to have and a good time to have it, and even then we weren’t sure where it might lead. Ecotone has published Who’s Green, a directory of firms, so there was some initial thought that it might have a who’s who quality, but both the field of sustainable design and notion of women’s influence within it strongly suggested something much more organic, diverse, and conversational. We hoped this book would fill several voids. First, though many of the people propelling this movement are women, the topic has not been embraced before now, and there are no books on women and sustainable design. This is the first. Second, books on women in design focus on feminist theory and, as a result, the writing tends to be highly academic. We felt it was imperative to honor this topic by offering something much more accessible. This is why we kept the tone conversational – like an informal discussion. How did you two come together as co-authors? What were the benefits of having two authors as opposed to one? We had worked together before. When I heard about the topic, I knew immediately that it would demand collective thought and diverse thought – specifically a female and male perspective. I was lucky to have recently collaborated with Lance on a project for the AIA Committee on the Environment. While we are now colleagues at William McDonough + Partners (and Lance had worked there before), neither of us were with the firm at the time. This is definitely a case when two heads were better than one. We felt that the topic was better served this way than it would have been by just a woman or just a man. The book is more about this balance than it is about one gender, per se. As far as the mechanics of writing it go, it was surprisingly easy. We collaborated on the topics, format, and tone for the entire book, and then we split it down the middle. Each of us put together notes for our half, based on our collective discussions, then we swapped halves. That went back and forth for a while until we had the final version. I can still find my “voice,” and Kira can find hers, but in many, many places, we can’t remember who wrote what. Seamless. Why did you choose the format of having a series of conversations to discuss the issues? Very early on, it became clear that this was about voice and voices. In this regard, the business writer Sally Helgesen was an important influence on us. We read her book The Female Advantage, Women’s Way of Leadership (Currency Doubleday, 1990, ‘95), one of the first books on women and leadership in business that did not advise emulating men (or applying football strategy!). She did diary studies of successful women leading large organizations and was able to draw some distinctions between these women and male counterparts. Sally talked to us about the difference between “vision” and “voice” in leadership patterns, and this really resonated. At the same time, we were re-reading Rachel Carson and Jane Jacobs, among others, and we noticed the vision/voice dichotomy right away. Both Carson and Jacobs were important, bold voices that made a difference. This way of framing things continued to gain strength as we talked to people about both of these key figures. So as we framed the book, we felt that the most important thing the book should do would be to offer the voices of women active and leading in this field. And it seemed like it would necessarily be more interesting to hear them talking to each other rather than just to us. Yes. The town hall format worked because people can represent themselves better than we can. The result is a strange stew of voices, but that captures the topic well. The chapter headings are a series of questions: What is sustainability? What is community? How do we live on the land? Do you feel that you found answers to these questions? Yes, to the extent that they have answers. Most of those concepts mean different things to different people, which is one of the reasons that we tried to talk to so many people – we wanted diversity of generation, discipline, and ethnicity wherever possible. We think this book offers some ideas about those questions, while at the same time understanding that it may take humanity generations to get closer to really “answering” them in any serious way. Yes. Again, some of these questions have no specific answer, and this is a great insight of the book. How do you answer the question, “How do we love more?” One thing I learned, being a particularly left-brained guy, is that we don’t need to pin down concepts such as “sustainability” – in fact, we shouldn’t even try. The most brilliant thing anyone says in this book is that this word’s openness is a great advantage because it allows itself to be filled with meaning as our intelligence evolves. 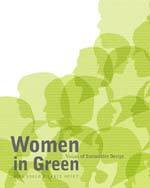 The book is titled “Women in Green.” Did you feel that it was important to highlight the role of women in green architecture, or do you think that green architecture is the way it is because of the role of women, so that it would be different if the field was male dominated? First, I should note that while architecture is well represented as a discipline, we tried very hard to include many disciplines – engineering, industrial and graphic design, development, policy, government, and more. And the answer to this question would vary a bit from discipline to discipline. I think the answer is mostly yes, it’s interesting to highlight the role of women specifically because there appear to be more women in green design than in design as a whole. It begs the question of what impact women have had. I’ll emphasize this again. Too often architects confuse “sustainable design” with “high-performance building,” which restricts the agenda to a narrow discussion (materials and methods) within one discipline (architecture). It’s ironic that while ecology teaches that all things are connected, we tend to discuss ecological design in such narrow ways. This book focuses on the qualitative, not the quantitative. Standards such as LEED have done well, but they focus only on what can be measured and quantified easily. At the moment, “green building” is in a weird state because the architectural profession’s habits and standards are driven by business as usual, and green offers something different. Bringing them together can feel like Frankenstein’s monster, and the hope is that a new kind of architecture will grow out of this awkwardness. Women, or those sensibilities we associate with women, represent the grace needed for this evolution. What are the new questions that have emerged since the book's publication? One of the most interesting questions that has been coming up at panel discussions about the book (which we’ve been hosting around the country), and it’s something we discussed in some of interviews, is the issue of what the “mainstreaming” of green and green design means for women and their role in the field. This is especially interesting if you believe (and some do) that one reason that some women advanced in this area was that it was considered an “alternative” path, and men (on a conventional linear path to firm leadership) may have seen the area as a career impediment. I think we’ve been less focused on new questions (since the old questions are still being discussed) than on the emotions that have been stirred up. The overwhelming response in our “live” sessions has been an outpouring of feeling that is unusual for design conferences. We naively stumbled into a topic that urgently needed attention, as if these voices have been waiting for a forum. The book is merely a conduit; the important thing is the topic, the opportunities it represents. Some filmmakers are interested in doing a documentary of this, because these people’s voices and personal stories are so powerful. There are over 150 women listed in your Participants section. How did you find these people? Early on, we avoided the “who’s who” format that would demand rigorous criteria for inclusion and preclude broad input from many. We knew that many voices would increase the credibility of the effort. As we set off on our research in fall 2005, we hosted a roundtable discussion with women involved in green architecture, interior design, media, and more; this was to stir a few questions and see if we were on the right track. Then we did interviews with dozens of women in many fields, and at the end of each, we asked them who we should talk to and who we should read – again, any field, any age. One area where we did delimit our effort was that, for now, we talked to people mostly in North America, and most of those were in the U.S. We recognize that this is a global discussion, and we were tempted to involve activists and designers from around the world; indeed, the words and deeds of Wangari Maathai, Vandana Shiva, and others have been very inspirational. We believe that the group of women and men we talked to represent a good sample – but it’s hardly comprehensive; we knew that would have been impossible. One thing we’ve been discussing lately is how to set up a Women in Green community – we’ve been keeping a long list of people who we would like to quote and profile on a website or a blog. Or maybe there will be another book? And these are voices we are talking about; we have been approached by some groups about the possibility of a documentary. This is one of the great stories of the book. We began with a small circle of people we knew and respected. Each of them turned us on to a handful of others, and each of those people did the same. The list grew exponentially in no time. I wish we had mapped this network, because it would have made an amazing illustration for the book – a perfect demonstration of the complex personal links within a community. We set out to get a cross section of the green community, but what we ended up with was more like a tangled tapestry, with threads weaving across the surface in unpredictable ways. Beautiful. The participants each work in different fields of sustainability. How do their combined voices create a synthesis? Is green a “movement”? If so, what is the next step in growing the movement? I think it is a movement, though it has some different qualities than earlier ones. And it’s interesting that your question uses the term “synthesis,” because that is, I believe, the dominant characteristic of the next step. Right now, there are many groups in communities that are addressing issues related to sustainability. As these groups understand the connections between them and other groups – and the connections between the challenges, such as energy use, water quality and scarcity, soil quality and erosion, and much more – there will be a synthesis. This synthesis may occur around how we address the issues and how we construct our social and physical communities as interdependent and linked to natural systems. If we are really open to these connections, we will begin to live, eat, learn, build, and travel more like organisms manage those functions in nature. And if not, we may not have too many generations to think about why we didn’t evolve that way. I’m not sure what to call this. “Movement” sounds too intentional, as if there is one charismatic leader rallying people to storm the gates. And “synthesis,” taken literally, implies that there are competing viewpoints that might get resolved into one consistent message. What we found is that green isn’t working like this. The way the green community works is exactly the way the natural community works – as “organized complexity,” to use a scientific term. People try things, and if they don’t succeed, they’ll try something else; if they do succeed, they’ll try it again, but maybe with a little twist this time. It’s messy, but it keeps moving, and what will evolve out of it, we can’t predict. It will be exciting to see where we are in 10 or 20 years. Community designer Katie Swenson is Director of Enterprise Community Partner’s Frederick P. Rose Architectural Fellowship program. She served as a Rose Fellow from 2001to 2004 with the Piedmont Housing Alliance in Charlottesville, VA. Prior to joining Enterprise, Swenson was founder and executive director of the Charlottesville Community Design Center. Writer Kira Gould, Assoc. 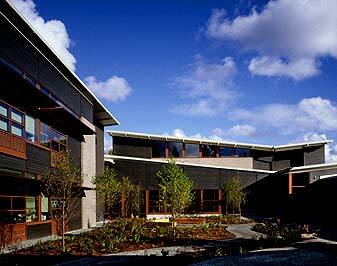 AIA, LEED AP, is Director of Communications for William McDonough + Partners. She was managing editor at Metropolis and now writes about sustainability and design for that magazine and others. She is a member of the American Institute of Architects Committee on the Environment (COTE) national advisory group (and served as its chair in 2007). Architect Lance Hosey, AIA, LEED AP, is a Director with William McDonough + Partners in Charlottesville, VA. He has been featured in Metropolis magazine’s “Next Generation” program and Architectural Record’s “Emerging Architect” series. His essays on the environmental and social aspects of design have appeared in The Washington Post, Metropolis, Architectural Record, and Architecture, and he writes the “ecology” column in Architect. 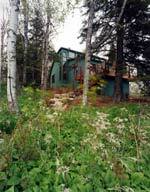 Ecotone Publishing focuses on exploring the relationship between the built and natural environments. A minimum of 10% of profits on an annual basis are donated to environmental non-profits, and books are published on post consumer recycled content paper with vegetable-based inks. At the Dollard Discovery Health Center, Robyn Guenther and her firm, Guenther 5 (now Perkins+Will), focused on well-being and indoor environmental quality, creating an environment much loved by residents and staff. 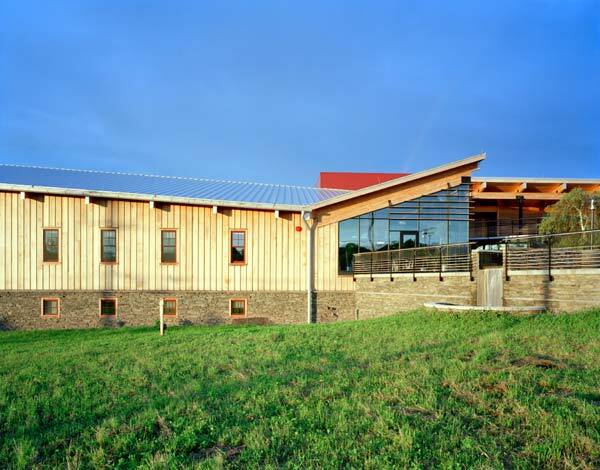 Anne Schopf, director of design at Mahlum Architects, used passive design strategies to create the Benjamin Franklin Elementary School as teaching tool with strong connections to the outdoors. 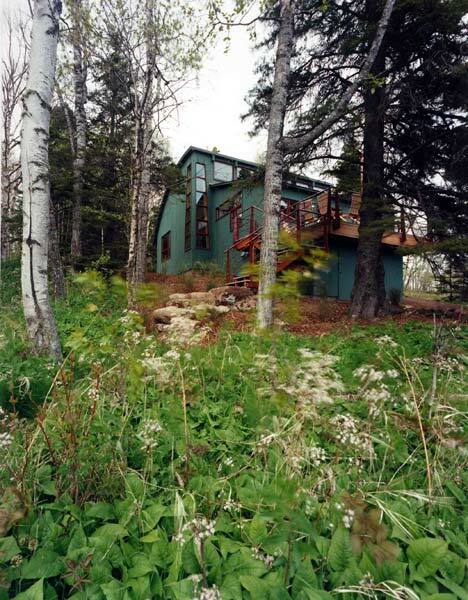 Architect Sarah Nettleton and her client Medora Woods collaborated on the Tofte Cabin, which draws only 2% of its annual energy use from the grid. 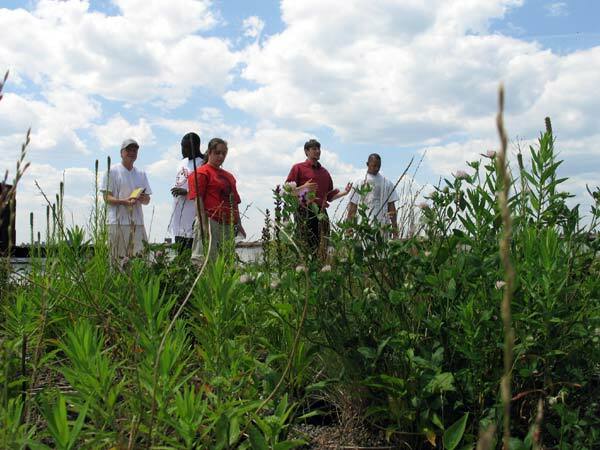 Majora Carter, executive director of Sustainable South Bronx, worked with landscape architect Kate Bakewell and researcher Joyce Rosenthal to create a green roof above the organization’s office that is now part of a training effort for the community.